Nashville to Memphis Day Trip in a 14 person deluxe van including the VIP Graceland ticket and time on famous Beale Street. This is a 15 hour day with pick-up and drop-off at your Nashville hotel. Nashville hotel pick-up at 7am on a 14 passenger van for Memphis. 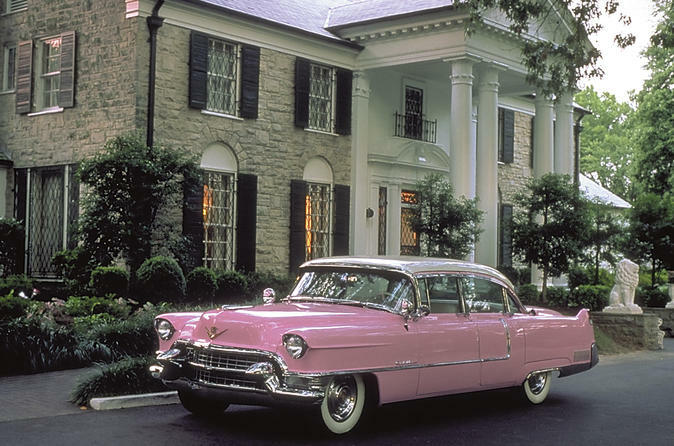 Upon arrival in Memphis, go to Graceland & see everything Elvis made famous. Each person will enjoy the VIP Graceland tour. Then the Sweet Magnolia driver will take you to Beale Street & you will get to explore this world famous music street. While you are there you will have a $15 credit to enjoy food or drink. Finally, it’s back to your Nashville hotel at 10pm. $15.00 credit at Alfred’s on Beale or B.B. Kings Blues Club on Beale St or for merchandise at Sun Studio.